Things To Do In Madrid: June. A Month-By-Month Events Calendar. June is a fantastic month to visit Madrid, as there are plenty of things to do, the temperatures are mild and the number of sunny days is high. Every Madrid expert (including me) will tell you that it’s his or her favorite time of the year. The end of the spring is full of festivals, celebrations and parades. And you can get to see the most typical Spanish events at this precise moment – thrilling bullfights, passionate flamenco shows, and cultural performances everywhere. Feria de San Isidro: The San Isidro Fair represents the pinnacle of elite bullfighting. This feria is one of the most eagerly anticipated dates for aficionados (bullfighting lovers), who look forward to enjoying some impressive performances and seeing triumphant bullfighters being carried out on the shoulders of the crowd through Las Ventas’ main door. During the Feria de San Isidro the world’s best matadores gather for 5 weeks at the largest and most prestigious bullring on earth. If you would like to experience a bullfight for the first time or are already a bullfighting passionate, this event is a not to miss. Get your tickets now. 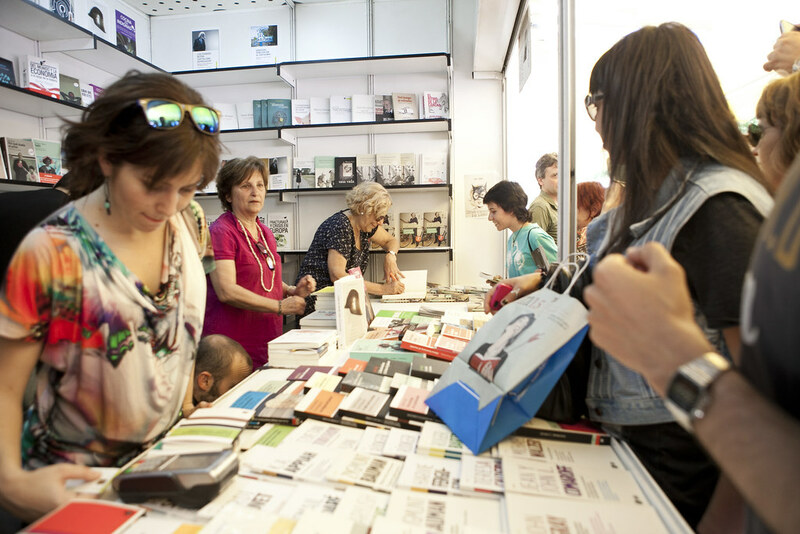 Feria del Libro: This popular book fair attracts hundreds of bookstores, publishers, authors and visitors. Hundreds of stalls located at El Retiro Park offer a wide selection of literature. You can find books ranging from novels and autobiographies to cookery and poetry. And not everything is in Spanish, there is also a wide variety of book in other languages. Additionally, there are regular book signing’s by many well-known authors when visitors can meet their favorite writers. Suma Flamenca: The passion and intensity of flamenco awaken the city during this fabulous festival. This month-long celebration attracts the best cantaores, dancers and guitarists of Spain. Theatres and other venues across Madrid host an impressively wide range of shows every night. Young artists and veterans take the stages to offer top-notch flamenco. Did you know that in 2010 the UNESCO declared flamenco one of the Masterpieces of the Oral and Intangible Heritage of Humanity? It’s our most famous form of art. Gay Parade: The Orgullo LGTB Madrid is one of the largest and most popular parades in the city. While the celebrations last 5 days, the most important event is the big parade on Saturday where thousands of people celebrate diversity, equality and love. It’s a mixture of lavish floats, spectacular costumes and provocative performances. During this time the explosion of colors, mostly rainbow flags, invades the city. Join the show along with hundreds of spectators and enjoy the party. PHotoEspaña: PHotoEspaña, International Festival of Photography and Visual Arts, has been hosted since 1998, and it is considered one of the most relevant visual arts events in the world. Each year the festival attracts 700,000+ people and receives acclaim from prestigious critics. It is an exceptional occasion for discovering images, videos and installations created by outstanding national and international photographers and visual artists. Red Bull X-Fighters World Tour: According to the experts, Spain is the spiritual home of International Freestyle Motocross. Since 2002, the FMX elite has been wowing the crowds at Las Ventas, a spectacular place to run such a thrilling competition. Madrid offers you the chance to attend the biggest Freestyle Motocross event in the world. Are you going to miss it? It’s the best month to visit Madrid. The weather is absolutely wonderful. The city is not full of tourists. The Spanish late spring is already too hot for you. You are looking for lower prices; it’s high season.